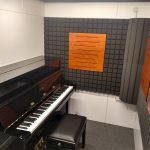 Unique­ly for a sheet music retail­er, the Schott Music Lon­don shop offers space for hire in its cen­tral Lon­don loca­tion. 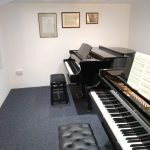 We also have a concert/performance space which is avail­able for hire on some evenings (see below). 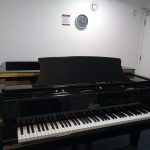 Rooms may be booked in advance by cred­it or deb­it card — please phone us on 020 7534 0710. 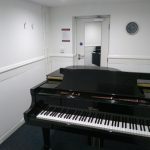 Our prac­tice rooms are named after some of the com­posers pub­lished by Schott Music, here in Lon­don. 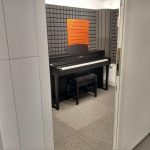 Seats 40 audi­ence mem­bers — with a Stein­way Mod­el M Stu­dio Grand piano. • Please con­tact us for fur­ther infor­ma­tion about this.